This is a review of the Swine Hat equipment for Game of War which is part of the Fall 2014 equipment set. Fall 2014 Gear is comprised of 6 items using a mixture of seasonal Fall materials and Boar Monster materials. All but one are combat focussed and there is the nice inclusion of 2 decent items not requiring Hero Level 50. The Arena Mask is set to become one of the best combat items you can build before hero level 50, and the Swine Hat is Grade A farm equipment. Silver and Food production boosts makes this gear very much suited to a farm Hero. The Silver Boost is superb. This is the very best silver producing helmet and only 5% away from the very best item – the Spear of Fire. And whilst this is the third best item for food, it is a long way behind both the Icarus Wings and the Hercules Helmet (300%). Neither of these produce silver however. 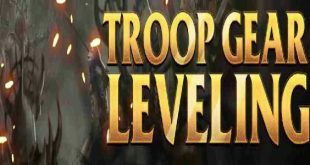 The Troop Defense is an excellent (but surprising inclusion). It is the very best item for Troop Defense. This is an incredible item if you have a silver and food producing farm. The defense boost is excellent but is not at all in keeping with the other boosts. Building this as a combat only item is still decent (although Hera’s Gown for example is much better). For farm’s with a eye to combat this is the very best there is. At just under 150m silver this item is very expensive. Requiring four monster materials makes this item difficult to build – although at least they all come from the same monster. If you have a silver and food producing farm this is the best item there is. If that farm also engages in some combat then this is truly superb.